Hello, and happy Friday!! I'm back with another swatch! Today's swatch is a Takko Lacquer called Alchemist, and well it's beautiful!! 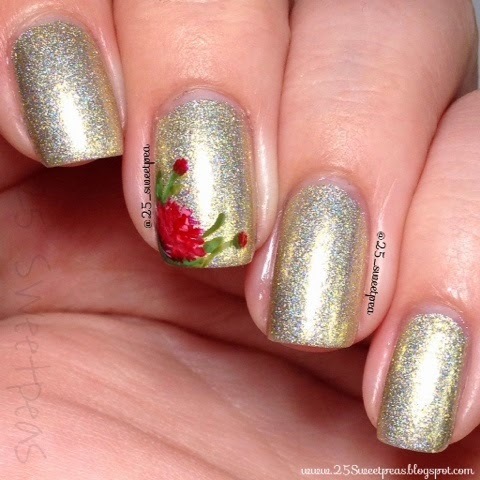 Alchemist - holographic shimmer polish with actual silver dust and 14k gold dust. Well first of the description of this polish wows you, and then you see the polish and it just contines from then on out! This was a 2 coater gold holo. Truly stunning!! Instead of gold at the end of the rainbow here you have a rainbow in your gold. :) Also I mentioned there is silver in it and while it doesn't appear in the photo it does in person! I don't know if you have ever used Hazel by Zoya, but if you have... You know how up close you can see little gold shards? 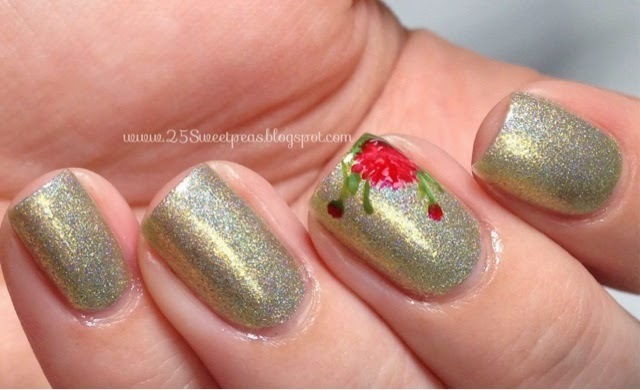 Well in this polish where you would see those you see silver shards! It's really neat and unexpected with a holo, so I really like that! It's such a pretty polish! 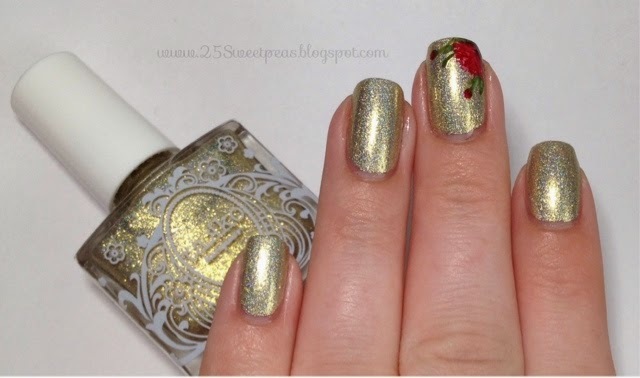 For sure in my top two favorite gold polishes! 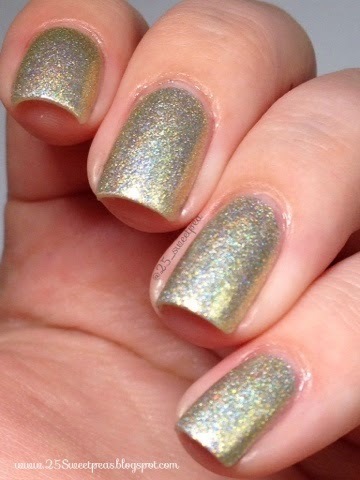 I am loving all of these holos from Takko Lacquer also! They are really amazing! Now as you can imagine, this is beautiful in motion as well! So tonight there will be a video up on Instagram for y'all to see! Well I hope you all enjoyed this post! I know I love this polish! It is so easy to work with and it's beautiful!